Emini Night Owl Long Play trading system is designed to take advantage of the overnight range expansion behaviour mentioned in the Emini S&P Afterhours Behaviour series. 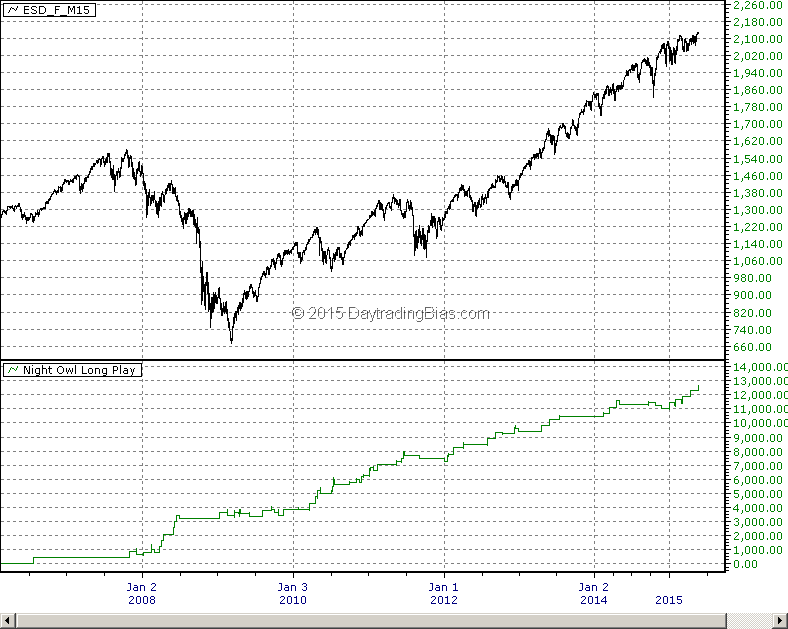 This model has strict control on risk and performed very well over the past 10 years. It is one of those hidden gems one has to look very hard to find. Following is a Emini S&P 15-minute 24 hours chart with the net gain amount plotted below. The system trades a single lot with $2.50 commission per trade ($5 round turn) and 1-tick slippage on stop loss and market entry orders. As you can see this model is a stable performer all these years. Winning rate stands at 65% with about 8 trades per year. 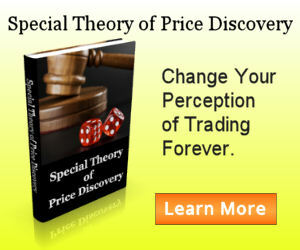 Stop loss can be fixed at 4.5 points with very flexible parameter range for other conditions. The unique thing with this model is that its entry happens in the early morning hours (Eastern Time) well before the regular trading hours starting at 9:30 am.